Great news! Henley Graphics now offers an exclusive 25% discount on all 12-month pre-pay Constant Contact accounts, or 20% off all 6-month pre-pay accounts! If you are a current customer and are not taking advantage of our pre-pay discounts, contact Tiffany today. Accounts currently on monthly billing are not eligible. The account must be upgraded to 6 or 12 month pre-pay to receive the discount. (Note: if you are currently signed up as a 12-month or 6-month pre-pay account, discount will be applied at the next billing). 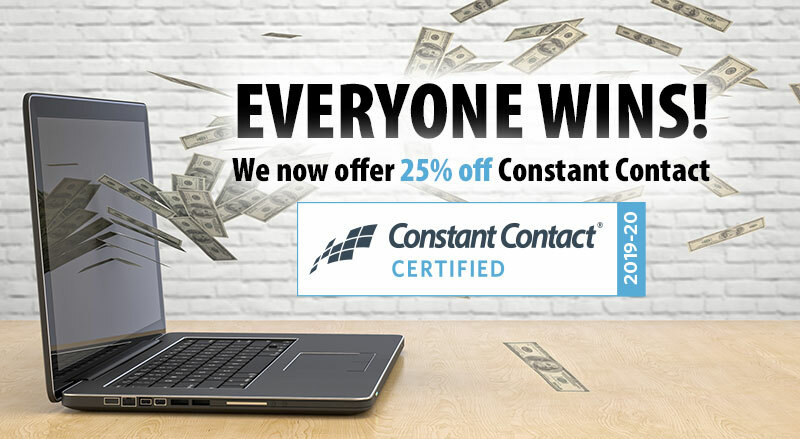 If you are currently not a Constant Contact customer and would like to take advantage of this discount, contact Tiffany today, or visit our website for details.